FREE SHIPPING in the US! Others please call or email for discounted rates. Don't settle for only filtering out sediment and chlorine like most whole house water filters! The Contamin-Eater filters out 99% of dangerous chemicals that harm your health, providing you with safe, great tasting water for drinking, bath and shower. You can experience: softer skin, silkier hair, and better health. If your water is disinfected with Chloramine, removing it will also protect your appliances, water pipes, and stainless steel. Also, if you have chloramine in your water you need a filtration media capable of removing both chlorine and chloramine. Our Hollow Carbon media can't be beat! 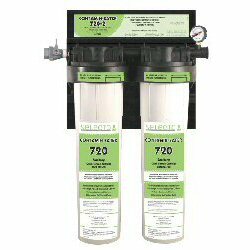 Our SMF Contamin-Eater 720-2 FL Whole House Water Filter with media to reduce Fluoride. * For Chlorine, this filter is large enough for 4-5 people for a full year. Capacity: 100,000 gallons. * For Chloramine, filter Capacity: 30,000 gallons. * NSF Certified to Standard 42. 3rd party Tested and Approved to NSF Standard 53 Reduces: Chlorine, Chloramine, Sediment, Bad taste & odors: ammonia, hydrogen sulfite, metallic tastes, Cysts: Cryptosporidium Giardia, Entamoeba, and Toxoplasma; THM's, VOCs, MTBE, Organics, Tannins. * Easy installation. Many people can do it themselves. 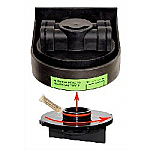 * Sanitary Quick Change Cartridge makes replacement ez! No tools required! *Because of many unknown variables, filter Capacity is not guaranteed when used with well water. Well owners usually benefit from a sediment pre-filter. Please have well water tested before purchasing any brand water filter. More Info 5% Discount on replacment cartridges when you notify us to put on you yearly Auto-Ship! You will not be disappointed with this product or the excellent customer service you will receive. My husband and I are grateful to have found this filtration system at such an affordable price and Donna was so helpful - from order to installation. We can now take showers without feeling like we need to hold our breath! I bought a 710-2 whole house system from ezclearwater. Donna Hoffman, the owner, was a pleasure to work with. She responded to my email questions immediately and even called me at home several times so she could reach me quicker than email. Her help was invaluable in helping me with setup, which turned out to be very easy. I had researched various systems for a couple of months and, based on NSF test results and price, this product seemed to me to be the best value for the money. My family and I think our water tastes much better now. I had been concerned about the contaminants in the water I was drinking for a long time. Then I began to get dry, itchy patches on my skin, and realized my eyes were always burning when I was in the bath or shower. I talked to my doctor who suggested I get a whole house filter to remove the chemicals from my water. After a lot of research, I found that ezClearWater.com was selling the same filters that Coca-Cola and Pepsi use. I thought, those companies can pick any filter in the world, and they choose these! Pretty impressive! These must do a great job. So I called Donna. Donna was extremely knowledgeable and was able to answer all my concerns and questions and helped me choose the right size system for our needs. 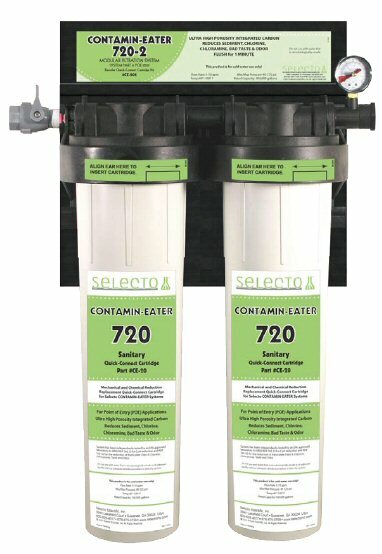 I bought the Contamin-Eater 710 Whole House water filter and was able to install it myself. It was a pretty simple project. Since then, my skin has completely cleared up, my eyes no longer burn, and my water actually tastes a lot better than the bottled water I had been spending a fortune on. I couldn't be happier with my choice!